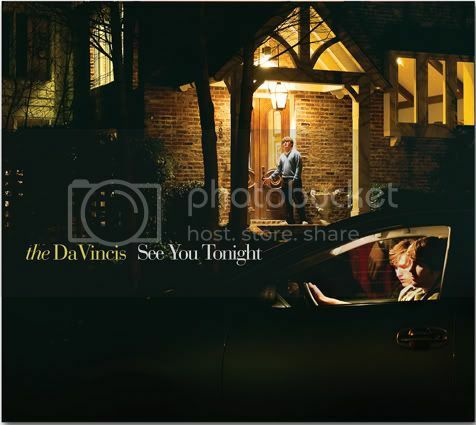 The Jackson, Mississippi lounge-pop trio The Da Vincis have a debut LP coming out October 27th. The bossa nova and '40s jazz aficionados are seniors in high school but know their pop music more than musicians twice their age. On See You Tonight's debut single, "50's Film," the trio set the stage for a love narrative during the holidays with a Kings of Convenience-like shuffle and bassist Peyton Randolph's plinking kalimba. Lead singer/keyboardist Andrew Burke may sing about the "beauty in black and white" but those strings near the outro are definitely set off in glorious Technicolor. Throw in some sleigh bells and you've got the defintion of an earworm. Speaking of earworms, the young Southern lads recently covered M.I.A. 's monster indie hit, "Paper Planes." Download it here. See You Tonight is being released by the allbum's producer Misha Hercules through his Mississippi-based label, Olympic Records.